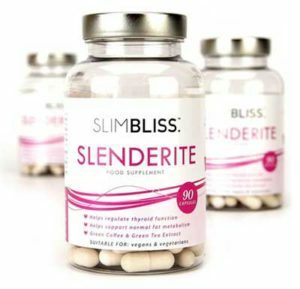 Slimbliss Slenderite is a weight management supplement containing fat burning ingredients and other fat loss inclusions. Slenderite is made in the UK by Slimbliss and between itself and “Biotin”, the two products comprise the totality of their current offerings. 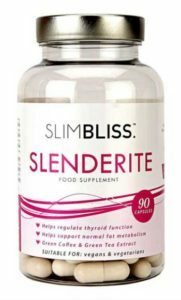 The company says Slenderite is “…designed by a UK medical doctor and elite sports women…” and can help you lose fat, improve thyroid function and more…all without the jittery side effects that caffeine-based fat burners can often cause. Generally speaking, the daily dosages of the included ingredients are pretty good. They have mitigated the rather strong caffeine dose with l-theanine, which prevents the negative effects of stimulants while improving the benefits. A good product, definitely above average, but it doesn’t quite make the best-of list. Slimbliss advertise Slenderite as a fat burner with an all-in-one formula. The company says it started because its founders (apparently a medical doctor and elite sportswoman) were fed up with seeing fad diets and miracle pills that were heavy on marketing an light on results. That’s probably one of the most common reasons these small supplement companies give for starting up: “tired of seeing scam products” etc… we won’t say it has become meaningless at this point, but it’s getting there! 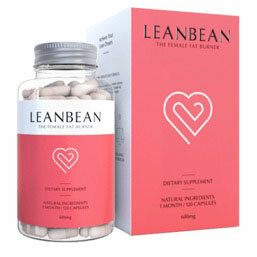 They also state that it has the above benefits “without the jittery side effects”, which is presumably referring to the fact that many stimulant based fat burners give users the shaky, nervous side effects with the subsequent crash. Whether the product can have any of the above effects is down to the recipe in the capsules. The following ingredients and inclusion rates are per 3 capsules. There are 90 caps in each bottle, which equates to a month’s supply if the max recommended serving is taken daily. Note: SlimBliss recommend that 1 pill is taken 3 times per day and they suggest those times could be before breakfast, lunch and before exercise. L-Theanine is the compound which can reduce the jitteriness of caffeine and improve its cognitive boosting effect. Green Tea is at a good dosage. 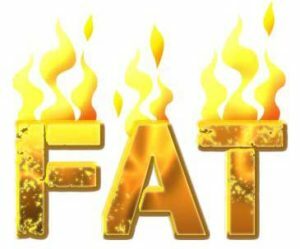 A proven fat burner, it is also a powerful antioxidant. Iodine might help increase thyroid-stimulating hormone but it is also only useful in cases of a deficiency which is a rare thing in the developed world. 225mcg might be slightly too much also. There is no real need to go above 150mcg. Cinnamon is a good ingredient for regulating blood sugar levels and preventing the snack-crash cycle. If you have any other source of iodine supplementation (seaweed, kelp etc.) then don’t take Slenderite. Iodine can actually suppress thyroid function at levels higher than 500mcg per day and you might reach that with diet plus other supplements containing it. Pregnant and breastfeeding women should avoid this supplement, and only take what the doctor recommends. People with medical conditions and prescription medication should ask their doctor. Most people will tolerate Slenderite well. Take one pill to being with to assess tolerance. Slenderite has a decent formula, but the green coffee could be higher and the iodine could be lower to make it better. Overall it’s pretty standard, but in improvement on much of the tripe that is sold as weight management supplements. We don’t include it in our most recommended list because it doesn’t have anything that really makes it stand out even more. We are pedantic when it comes to fat burners and want the product we recommend to you to be as good as possible.